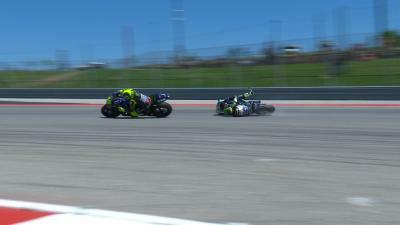 Cal Crutchlow is likely to decide which team he will be riding for in 2014 before the next round of the current season at Indianapolis. 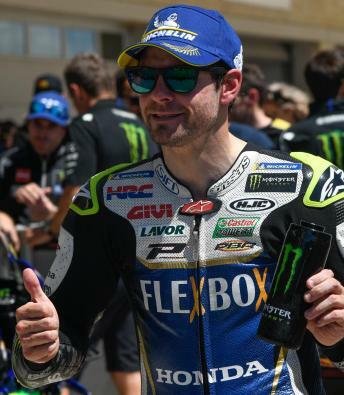 That is according to Lin Jarvis, Managing Director of Yamaha Factory Racing who, along with Crutchlow’s Yamaha Tech 3 team and sponsor Monster, is attempting to produce a solution. 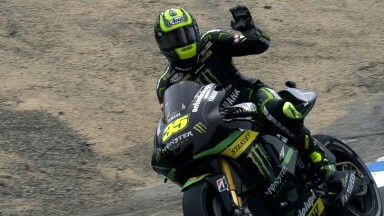 What is the latest on the situation regarding Cal Crutchlow’s future? Really, it is the Monster Yamaha Tech 3 team that owns the contract with Cal…but basically there are three really interested parties in Cal’s contract: Tech 3 as the team, Yamaha as the manufacturer and Monster as the sponsor. What is happening in these negotiations is that we - the three parties, collectively - are talking to Cal and his management to see what we can do. We would love to see Cal stay with us next year, but we realise that his performances are extremely good and that, therefore, he is very hot property and our competitors are also interested in his services. I am hoping he will stay with Tech 3 Yamaha. That will probably all be sorted before the next race - that is what I am expecting. 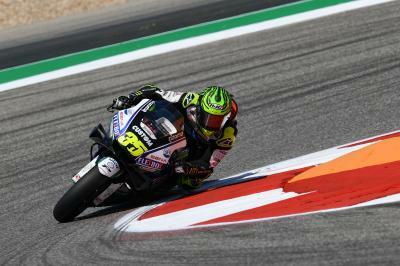 You recently said that Yamaha has made a large effort in making an attractive offer for Crutchlow. Can you elaborate? Normally it means money. Basically, we are ready to do something. I think Cal is very happy with the team and with the bike and is very happy with where he is, but he is a professional rider and at a very important stage of his career. Now is the time to make money in your career, so the main issue is that we are trying - collectively, from three parties - to see if we can put together an offer that is enough for him to stay. Are you aware that there are plenty of rivals interested in his services? Yes, we are pretty aware of that. Two strong alternatives - and maybe both companies have more money than us at the moment, shall we say. We have a situation where Cal has evolved in Tech 3 and, normally, Tech 3 is our team where young or developing riders will come on and then maybe step up into the factory team. Cal is at the prime moment to step up, but we are full. We have Valentino (Rossi) and Jorge (Lorenzo) on two-year contracts so, right now, we have no place at the Yamaha Factory team. It is a difficult circumstance and on the other side especially Ducati have a different situation, so maybe they have more possibilities.